Enhancing the very concrete that you walk on is part of the Starr Exteriors method of pleasing our customers by creating customized and extraordinary spaces in your own backyard. We can start from scratch by building a patio to meet your needs and suit your home, or we can start where someone else left off and make changes to existing structures. Stamped concrete adds a lot of depth to the design of your outdoor structure, and adding it to your patio, walkway, or pool deck will turn a lot of heads when you are entertaining your guests. Our desire is to carefully design a space that looks great from the bottom all the way to the top, leaving no intricate details behind. So, instead of the patio being an after thought, it’s now one of the first things to grab your attention! We specialize in creating unique and distinctive stamped concrete flooring for your home or business. 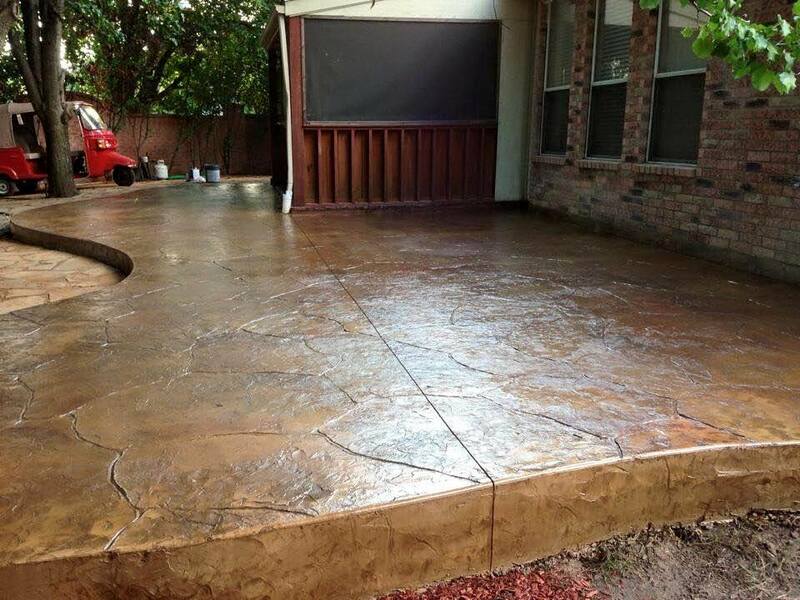 Give us a call today and let us share with your our ideas on how we can transform your patio with stamped concrete!